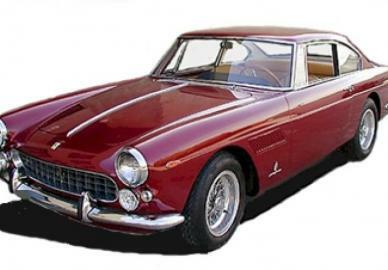 The Ferrari 330 cars are the successor of the 250, first introduced by Ferrari in 1963. The first 330 America was simply a 250 GT/E with a larger engine, and the 330 GTC/GTS shared their chassis with the 275. Only the 330 GT 2+2 was a truly unique product. Production ended in 1968 with the introduction of the Ferrari 365 series. All 330 models used an evolution of the 400 Superamerica's 4.0 L Colombo V12 engine. It was substantially changed for the 330 cars, however, with wider bore spacing and the notable use of a true alternator rather than a dynamo generator. The 1963 330 America shared the outgoing 250 GTE's chassis but not its engine, being powered by the new Type 209, 300 hp (220 kW) at 6600 rpm, 4.0 L engine. The 250 GT/E 2+2 was replaced in January, 1964 by the new 330 GT 2+2. It was much more than a re-engined 250, however, with a sharper nose and tail, quad headlights, and a wide grille. The wheelbase was 50 mm (2.0 in) longer, but Koni adjustable shock absorbers improved handling. A dual-circuit Dunlop braking system was used with discs all around, though it separated brakes front to back rather than diagonally as on modern systems. The 1965 Series II version featured a five-speed gearbox instead of the overdrive four-speed of the prior year. Other changes included the switch back to a dual-light instead of quad-light front clip, alloy wheels, and the addition of optional air conditioning and power steering. Prior to the introduction of the 'Series II' 330 GTs, a series of 125 'interim' cars were produced, with the 4-headlight external configuration of the Series I cars, but with the 5-speed transmission and 'suspended' foot pedals of the 'Series II' cars. 628 Series I (including 125 'interim' cars) and 460 Series II 330 GT 2+2 cars had been built when the car was replaced by the 365 GT 2+2 in 1967. The 330 GTC and 330 GTS were more like their 275 counterparts than the 330 GT 2+2. They shared the short wheelbase of the 275 as well as its independent rear suspension. 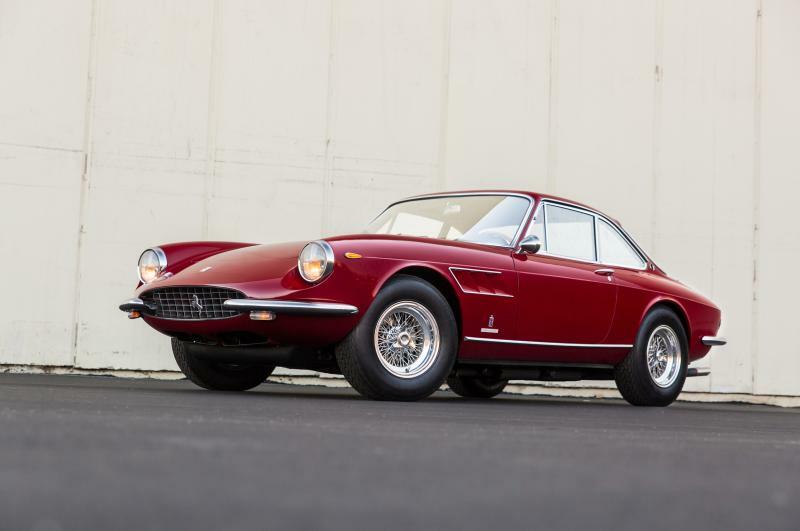 The GTC berlinetta was introduced at the Geneva Motor Show in March, 1966. It was a 2-seat coupe with a Pininfarina-designed body. The GTS spider followed at the Paris Motor Show. About 600 coupes and 100 spiders were produced before the 1968 introduction of the 365 GTC & GTS and the 365 GTB/4 "Daytona". 1962 Ferrari 330 LM BerlinettaFour 330 Le Mans Berlinettas were built in 1963. They were essentially a development of the 250 GTOs and fitted with the 4-litre 330 engine. Although visually similar to the 250 GTOs, there are numerous body differences; these four cars are not the same as the "330 GTOs". Ferrari 330 P3Four models of mid-engined racing cars used the 330 engine and name as well � the 330 P/P2/P3/P4 range of the mid 1960s. The 330 P4 had 450 bhp at 8500 RPM. It had a top speed of 320 km/h (198.85 mph). And had a dry weight of 800 kg (1763 lb).